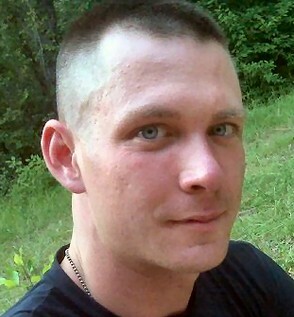 Stephen Wolchok, 30, is missing from Botetourt County, in New River, Virginia. Stephen’s dad, Gregory Wolchok reported his son missing. Stephen’s truck was found in the parking lot of the Valley View Baptist Church. Stephen is a Corporal in the 2nd Marine Aircraft wing, stationed at Marine Corps Air Station New River. Stephen is five feet ten inches tall, 165 pounds, with short brown hair and blue eyes. He was last seen wearing a “white-ish grey T-shirt, and denim slacks or jeans. If you have any information about his whereabouts, please call the Botetourt County Sheriff’s Office at 540-473-8230.